The city chosen by the Royal House of Savoy as its home, and first capital of Italy, Turin expresses all its charm as a noble and refined city with its magnificent palaces, endless white arcades, eighteenth-century gardens, riverside, historic lounges, chocolatiers and cafés that will take you on a trip back in time. Since the 2006 Winter Olympics, its transformation into a dynamic, cosmopolitan city has been constant and today it offers a whole variety of ways to live it to the full, with art exhibitions from all periods, museums with the most varied themes (Cinema Museum, Automobile Museum, Egyptian Museum, history, science …), theatres with an excellent programme and concerts by world-famous artists. Shopping here, in avant-garde ateliers and high-fashion boutiques, reveals the city’s vanity and elegance. The alternative, slightly hippie soul of the university city and the ethnic quarters is offset by the constellation of literary and elitist lounges. 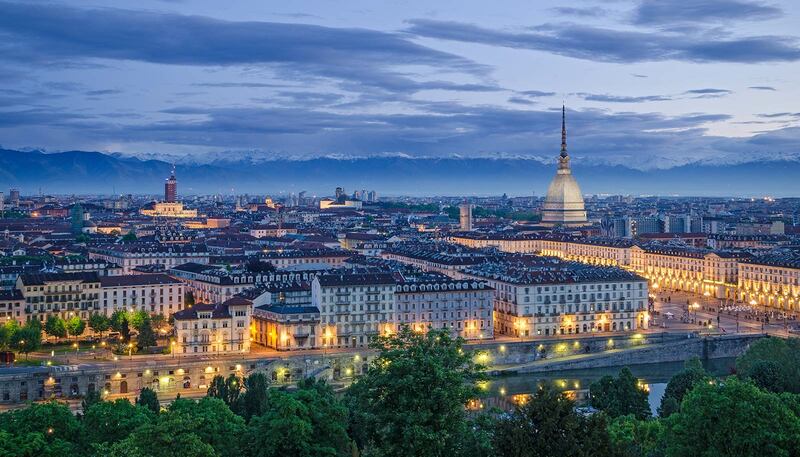 The Mole Antonelliana makes Turin’s skyline unique, the mountains in the background embrace and frame it, and the Reggia di Venaria Reale has made the city the Italian equivalent of Paris. Thanks to the success of the trail of Michelin stars throughout the Langhe, Turin’s gastronomic panorama is becoming increasingly interesting: from chocolatiers offering Gianduiotti and Bicerin to ethnic markets, from Michelin stars to trattorias with chequered tablecloths, from busy sushi restaurants to bars a huîtres … through to Aperitifs, which are an authentic local tradition. it is the capital of Aperitifs! A city just waiting to be experienced!